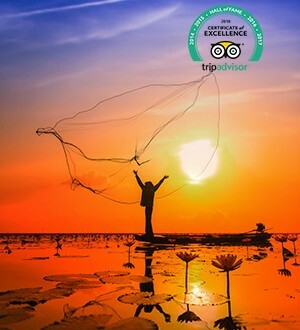 The Trip Mekong Explorer you have chance to discover the highlights of Vietnam and have interesting experiences. It is the heroic history of Vietnam nation are printed in the Cu Chi Tunnels or religious culture in Cao Daii holy and scenery in Phu Quoc paradise islands where was called “pearl island of Vietnam”. 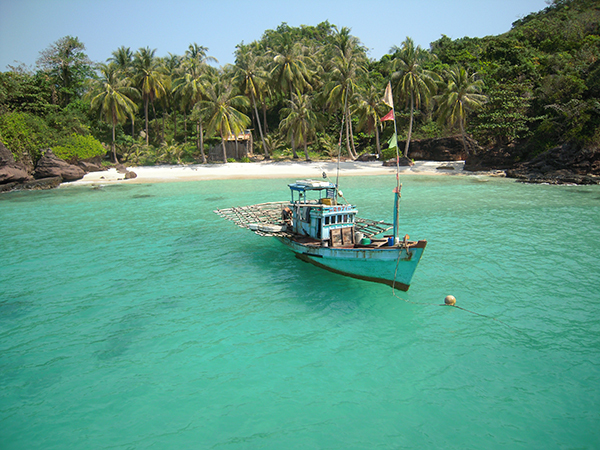 Phu Quoc is peaceful and quiet with the history, the old roof moss, the beautiful landscapes with island pearl is pure, wid and beauriful beaches. Say goodbye to Phu Quoc island neverland and moving to Mekong delta, you are welcome by friendly atmosphere of this land. 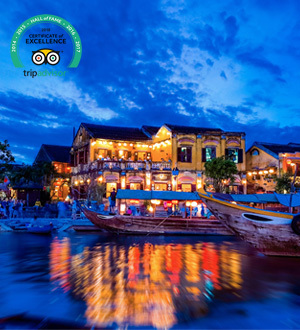 Especially, boating to Cai Rang colorful floating market, you will take a cruising among local barges full of fruits, vegetables and the sweet singing of the girls on the Southwest waterfront will be attract and gives you great feeling about the land and the people here. 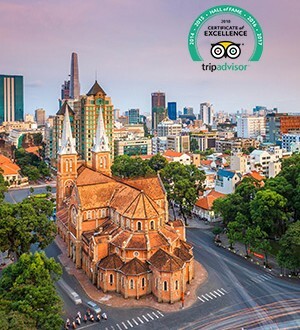 Arrive in HCMC and check into your hotel. 8.30, drive to Cao Dai Temple in Tay Ninh to observe the midday service. Cao Daism is a combination of Buddhism, Taosim, Confucianism and Christinaity. 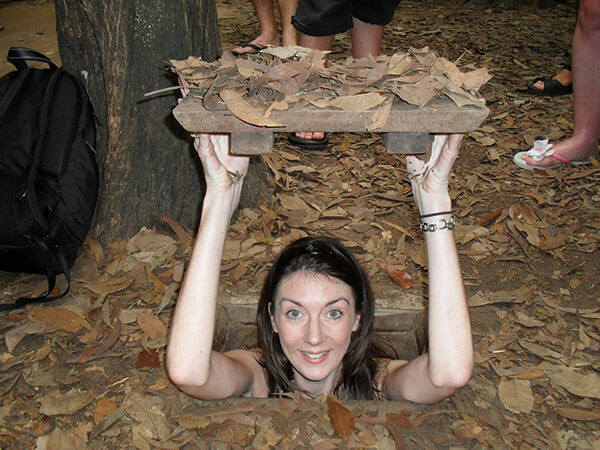 After lunch, we drive to Cu Chi Tunnels – the famous base during US – Vietnam war. Back to hotel. Overnight in Saigon. Meet your guide at your place, transfer to Ben Tre where we take a boat trip on the Mekong River to Coconut Islet. 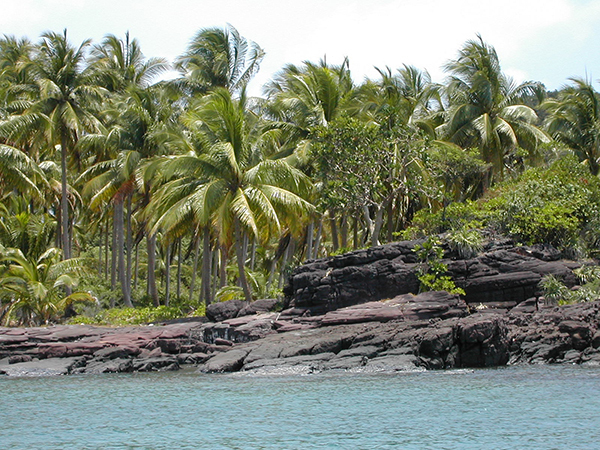 Enjoy a brief walk on the islet, trying native fruits and viewing local handicraft production. 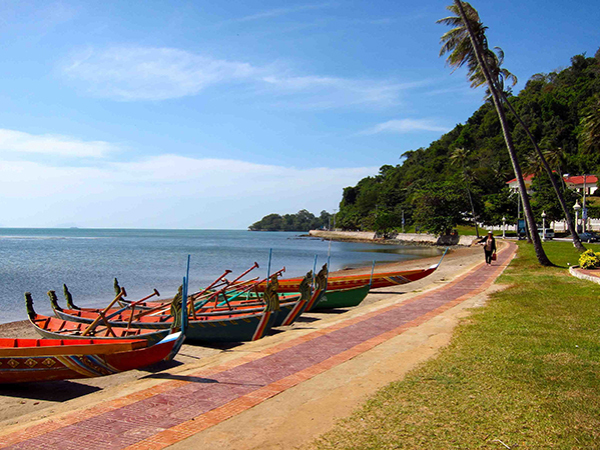 Continue by boat to Tan Thach Commune to visit a family-run enterprise making coconut candy. 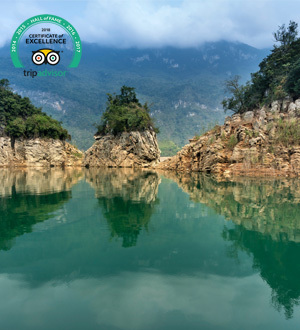 Take a horse-drawn cart to Quoi Son to visit a bee farm and to enjoy tea & candies. After lunch with sample the local delicacy, Elephant’s Ear Fish. Return by boat to My Tho, where our vehicle is waiting fortransfer to Can Tho for overnight. 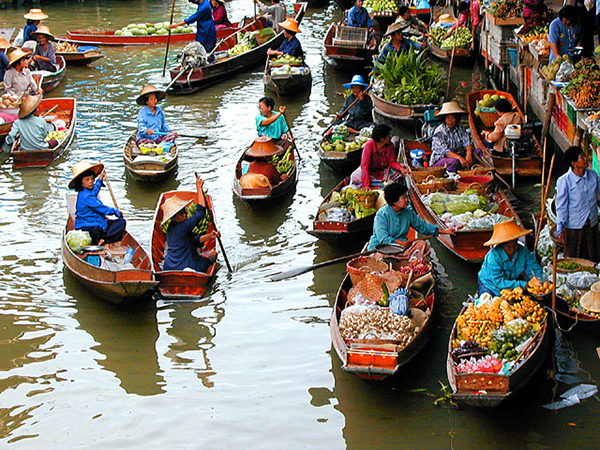 Today, you will get up very early to catch amazing scene of Cai Rang Floating Market. During market hours (from 4am to 8am), larger sized boats anchor and create lanes that smaller boats weave in and out of. The waterway becomes a maze of hundreds of boats packed with mango, bananas, papaya, pineapple, and even smuggled goods like cigarettes. Reach the Cai Rang floating market, you will take for nice pictures or contact with local people. After the market, the trip will take you along the river bank and down cannels to see how people live. After that, visit at Can Tho local market, around the garden, do something as famers really do, fishing, rice working, plugging part in activities with the family, talking to local people about traditional lifestyle in Mekong Delta and visitKhmer monastery before transfer to the airport for catching flight to Phu Quoc island. Free for your own leisure to explore main island. Depart Phu Quoc by speedboat to Ha Tien. Transfer to the border at The Prek Chak (Ha Tien) checkpoint is the nearest, most easily accessed border crossing from Kep/Kampot. 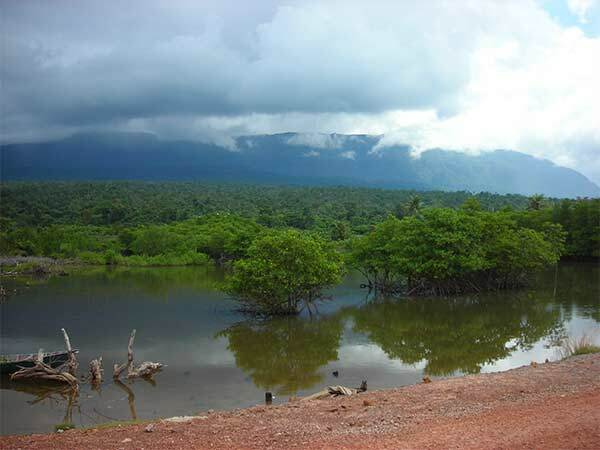 The road from the border crossing to Kampot, for the most part, in fair condition, taking about 1h15m-2 hours to traverse, though longer in the wet season. Only35 minutes drive from Kampotwe will visit Kep city where kep is a place to relax by the seaside and use as a base to visit nearby Rabbit Island, and explore the national park, nearby caves and rural countryside, many make a day trip of Kep, dropping over for a seafood lunch or dinner. Over night in Kep. This morning we leave from road the most direct route from Kep to Phnom Penh follows National Route through Kampong Trach district. For the last couple of years stretches of NR3 have been under construction, making alternative routes preferable. But the construction seems to be nearing completion with the vast majority of NR3 now in good condition, though there are comparatively short unfinished sections (a few kms) near Phnom Penh and near Kampot. Check in at the hotel and free time.. In the morning start tours with visit Royal Palace and Silver Pagoda and National Museum.Lunch in local restaurant. 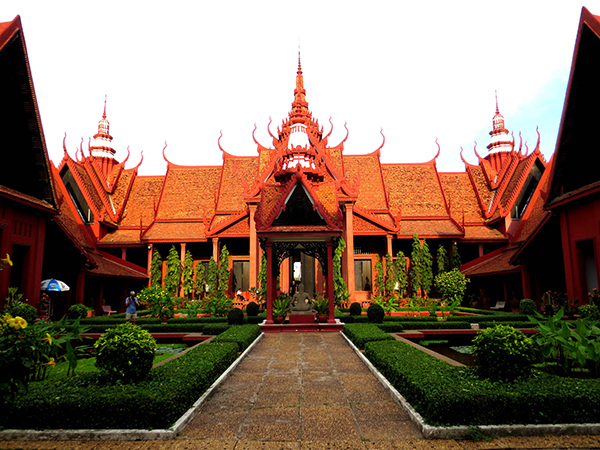 In the afternoon, visit Toul Sleng and Choeng Ek Killing Fields and enjoy sunset at Wat Phnom, symbol of the city. Fly to Siem reap and spend the afternoon visiting the amazing and awe inspiring temples of Angkor, climbing to the top of one of the imposing remains for a truly memorable sunset. 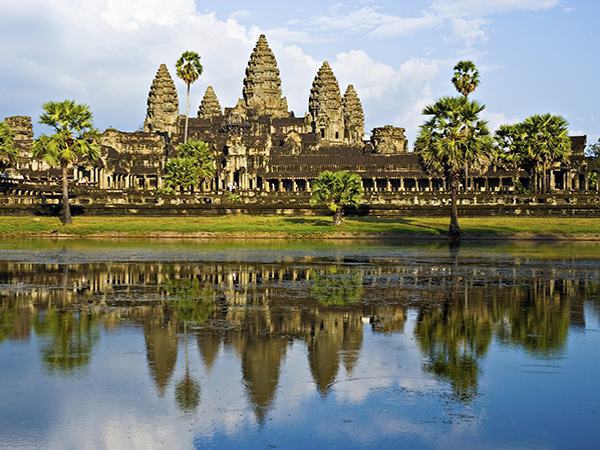 Spend the next two days exploring Angkor temples. 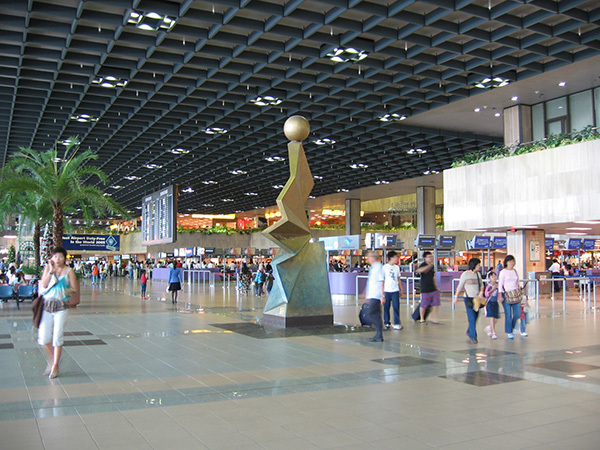 Each displays individual and unique architecture. Witness the splendor of these magnificent creations around every corner. Morning at leisure and if you are felling energetic rise early to see the monks collecting their alms. Explore this Golden city of monasteries and temples before flying home. ‘Singleroom occupancy’ refers to the accommodation element of the programonly, and applies to someone who is travelling with others but requiresan additional room for him/ herself. Single traveller prices areavailable on request.